Does your website have issues that are hindering your SEO efforts or alienating your visitors? Follow this simple website audit process to find out. If you’ve never audited your website, chances are you should. Websites are complex beasts and issues arise all the time—and you won’t be aware of them unless you audit your site regularly. Now, I run a pretty tight ship with the blog, and this was admittedly only a minor issue. But I see many businesses, big and small, with more severe problems. In this guide, I’m going to teach you how to perform a simple website audit to improve your SEO, usability, and maybe even your revenue. But first, let’s make sure we understand what a website audit entails. A website audit involves analyzing your website for technical, user experience, and SEO issues. Of course, finding such issues is only half the battle. You then have to fix them. Luckily, most fixes to the issues discussed in this guide are self‐explanatory. However, I will do my best to explain the more complex ones as we go. If you’re an Ahrefs user, begin by launching a new project in Site Audit. You may notice a few minor differences between what you see in that video and the current interface of the tool. That’s because we’ve made a few improvements to Site Audit since creating that video. It should, however, still be easy enough to follow. What does Site Audit do? 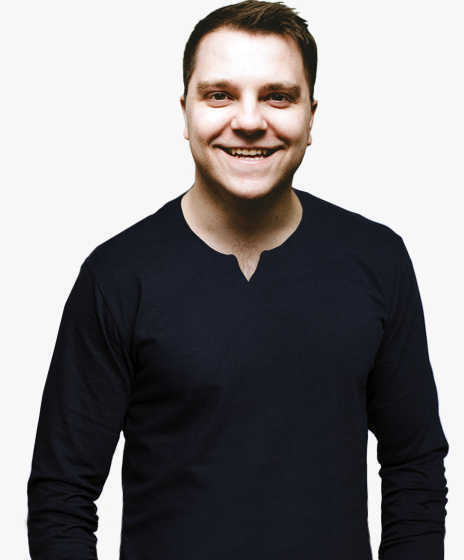 It checks every page on your website for over a hundred predetermined SEO issues. IMPORTANT. 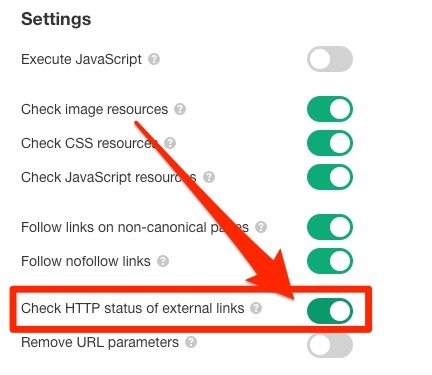 To get the most out of this post, I recommend turning on the option to check the HTTP status of external links. Don’t worry if you’re not an Ahrefs user. Running an audit is recommended, but optional. This website audit process is aimed at beginners. There is an almost never‐ending list of things you can look for when auditing a website, and some of them are somewhat technical and complex. I’ve intentionally focused on the more straightforward issues below. That’s not to say that these issues are unimportant. They’re common issues that plague many websites, big and small. This isn’t only about SEO. If that’s what you’re after, and you don’t mind tackling more complicated stuff, then check out our SEO audit guide. Still, many of the audit items below do have an impact on SEO. If you’re trying to rank higher in Google, and have little to no SEO experience or knowledge, this guide will serve as a good starting point. Is it cluttered with unnecessary stuff? Have I made it easy for visitors to contact me if they have questions? If the answer to any of those questions is no, it may be time to rethink how your menu works. To do this, I find it useful to sketch out the flow of a website so I can see what’s important and what isn’t. You can use a simple tool like Slickplan for this. If you’re having a hard time viewing your website with fresh eyes, try asking your customers, family, friends, or colleagues to use your website and point out any issues. Do this with a few different people and see if there are any common themes. However, keep in mind that such people will often be reluctant to point out genuine issues with your website through fear of offending you. If you feel that’s the case, consider hiring a freelancer to do a manual video audit. Example video audit gig on a freelancing website. These aren’t usually too expensive, and the insights you get are often worth their weight in gold. Did you know that more than 49% of people browse the web via mobile devices? That means the majority of your visitors are probably viewing your website on mobile. 3–4% of people browse via tablets, which is why 49% is the majority. Furthermore, nearly 60% of Google searches get done on mobile—and that’s 2016 data; it’s probably even higher now. Translation: You need a mobile‐friendly website, or you’re alienating over half of your visitors. Here, you will the percentage of your visitors that come from mobile vs. desktop vs. tablet. 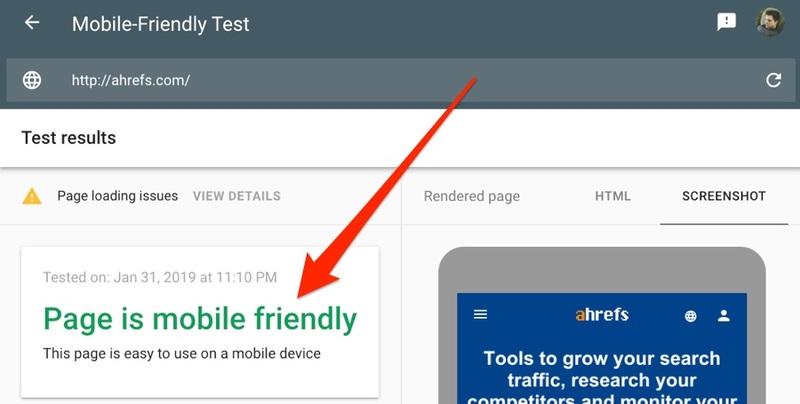 Check the mobile‐friendliness of your website using Google’s Mobile‐Friendly Test tool. I recommend pasting your homepage in for the test. If your homepage is mobile‐friendly, then it’s likely that the rest of your site is too. However, you may want to test a few pages if you have drastically different sections of your website. E.g., an ecommerce store running on Shopify, and a blog running on WordPress. If it’s not currently mobile‐friendly and you know that a good number of your visitors are on mobile, then you should probably hire a developer to tackle that problem. Robots.txt is a simple text file that tells search engines which pages they can and can’t crawl. A sitemap is an XML file that helps search engines to understand what pages you have and how your site is structured. If you have a robots.txt file, it’ll be accessible at yourdomain.com/robots.txt. The URL of your sitemap should be in your robots.txt file. If it’s not, check the root folder of your hosting for XML files. Long story short, it’s good to have both these two files, but not mandatory. If you have a small website (under ten pages), then I wouldn’t worry too much about either of these files. However, if you’re using WordPress, you can use a plugin like Yoast SEO to create both a robots.txt file and sitemap easily. Not using WordPress? Search Google for a “robots txt creator” or “sitemap generator.” There are lots of useful free tools that make this process rather simple. If this isn’t the case for your website, then you don’t have an SSL certificate (i.e., HTTPS). Why does HTTPS matter? It comes down to security, mainly. Unencrypted (non‐secure) data can be intercepted and stolen. Furthermore, HTTPS is a Google ranking factor. They said so back in 2014. If you’re not using HTTPS yet, then get an SSL certificate. It’s as simple as that. The good news is that this may not cost a cent. Lets Encrypt is a non‐profit organization that provides free SSL certificates, and it’s backed by some of the biggest players in the industry—including Google. In 2019, there is no excuse for not using HTTPS. Now, that may all sound like technical jargon—and it is. However, if you started crawling your website with Ahrefs Site Audit (as recommended), then you can see in plain English whether you’re facing any of the issues I mentioned above. Just go to Site Audit > project > Overview. Forward the pages and this advice to a developer to fix. Google states that 53% of mobile visitors leave websites that take more than 3 seconds to load. They also stated that site speed is a ranking factor way back in 2010. In other words, it’s essential that your site loads fast. Luckily, Google has a free tool for checking page speed. It’s called PageSpeed Insights. Paste in a URL, and it’ll kick back a “speed score” for both desktop and mobile. Once again, these are quite technical, but any good developer will know how to fix such things. The issue with PageSpeed Insights is that you can only check one page at a time. That’s more than annoying if you have a website with tens, hundreds or even thousands of pages. Hit the number to see all the affected pages. If you have a lot of slow pages—as the website in the screenshot above does—then it’s worth reviewing the most important pages first. One way to do this is to sort by organic traffic from high to low. These pages are likely the ones that stand to gain the most from any optimization efforts. 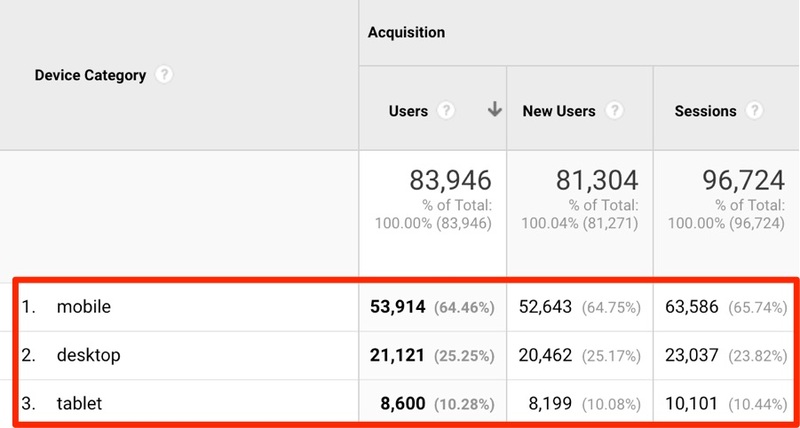 You could also use Google Analytics to check which pages are most valuable to you in terms of conversions/revenue and prioritize those instead. If you have a relatively small site (fewer than twenty pages), you can check all of the above manually with ease. Load the pages up one‐by‐one and read through them. Fix any errors you come across. The first one is easy. Use Google Analytics or Search Console to find the pages with the most traffic (or conversion value) and review those first. If you’re not using either of those tools, try the Top Pages report in Ahrefs Site Explorer. This shows the pages on your website sorted by estimated search traffic (from high to low). As for prioritizing pages that show signs of being low‐quality, one method is to look for those with low word counts, which Ahrefs Site Audit does. Just head to the Content Quality report. IMPORTANT: Pages with low word counts aren’t always low‐quality. However, generally speaking, a page with 50 words isn’t going to offer as much value as one with 500 words. You may also have noticed one other error in the Content Quality report above: Duplicate pages without canonical. I’m sure the “duplicate pages” part is self‐explanatory. These are pages that are identical or very similar to other pages. The “without canonical” part is a technicality—but needless to say, these issues need fixing. Broken pages and links lead to a bad user experience. The result? Your site looks uncared for, out‐of‐date, and potentially untrustworthy. Luckily, such issues are easy to fix. Let’s start with broken pages. 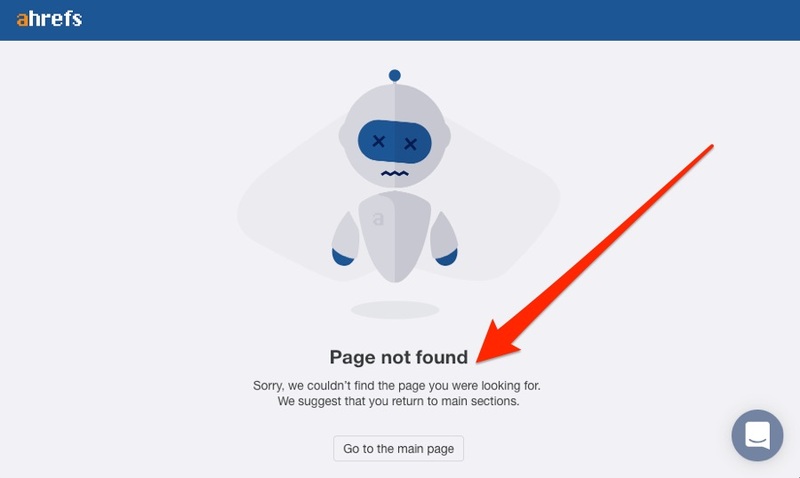 Broken pages occur when a resource on your website ceases to exist. Sometimes, these resources still have internal links pointing to them or have backlinks from other sites. You can find such pages in Site Audit. 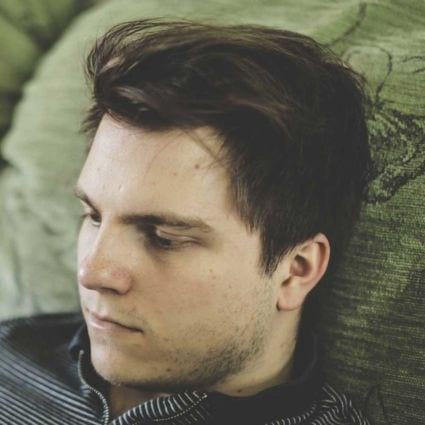 Broken links occur when a third‐party resource to which you link ceases to exist. You can also find such pages in Site Audit. Every page on your website should have a unique meta title and description. Google sometimes rewrites these tags dynamically and shows something else in the search results, although this is more an exception than the rule. There’s nothing inherently wrong with this advice. If you can include your keywords without it feeling unnatural or shoehorned, then go for it. However, this is not the primary purpose of your title and meta description. The primary purpose, at least from an SEO perspective, is to entice search engine users choose your page over the other results. That’s how you’ll get more traffic from current rankings, and it’s also thought to be an indirect ranking factor. It’s not as fast, but you can use a tool like this one. Paste in your URL, and it’ll pull in the title and meta description. It also tells you if it’s too long and likely to be truncated in the search results. Neither Ahrefs nor any other tool can tell you if your titles and descriptions are compelling. You’ll have to judge that for yourself. However, if you’re a Search Console user, I’ll leave you with one final trick: Check the Performance report in Search Console for pages that get lots of impressions but a low CTR. Because these pages have lots of impressions, they must be showing up for searches people are making in Google. The issue is that nobody is clicking on them, which may indicate an unenticing title or meta description. Orphan pages are those that aren’t part of your internal link structure. They exist on your website, yet your visitors cannot find them because none of your other pages link to them. Even worse, Google can’t see them—that is, unless they’re in your sitemap, or you’ve linked to them before, or they have backlinks from another website. But before you can do that, you need to find them, which can be challenging. I mean, if visitors and Google can’t find them, how can you? Well, there’s one place that orphan pages usually exist—your sitemap. However, I bolded the word “usually” there for a reason. If you used a plugin like Yoast SEO in WordPress to generate your sitemap, it should include orphan pages. If, on the other hand, you used a tool that crawls your website and creates a sitemap from that (e.g., Screaming Frog), then they may not be. In this case, you’ll need to download a list of pages from your CMS or web server manually. From here, your work is easy: either delete these pages or internally link to them from appropriate places on your website. 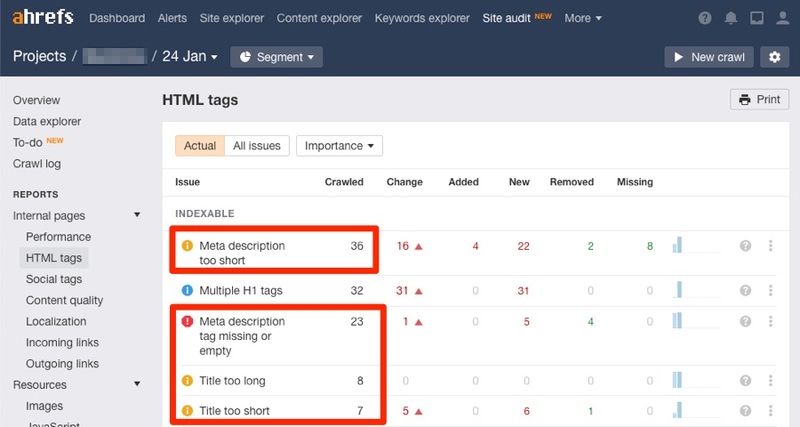 For Ahrefs Site Audit to find orphan pages, your sitemap must be located at the default yourdomain.com/sitemap.xml location or linked in your robots.txt file. You must also have made sure to toggle the “Auto‐detect sitemaps” option when setting up your project. Note that you can supply Site Audit with a specific sitemap location—so that’s an option too. Everything above is admittedly quite basic. There are a lot of other technical and on‐page aspects that you should keep an eye on. I’ve mentioned Ahrefs Site Audit a few times throughout this guide, and I’m going to talk about it one final time because it’s one of the best ways to dig deeper and audit your site for more issues.